Little remains from the earliest Native Americans that migrated into the Southwest. Still, archaeologists have been able to piece together a picture of this culture from some pueblos, stone and bone tools, a few buried skeletons, and carvings on cave walls, rocks and cliff faces. This ancient art, called petroglyphs (some call it Stone Age graffiti), is all we have from many of these ancient hunters and gatherers. Native Americans created petroglyphs by etching directly into flat rock faces or boulders. These renderings have survived down through the centuries better than intaglios or pictographs. Dozens—if not hundreds—of locations, mostly in our national and state parks and monuments, have been identified and are easily accessible. Explore these places to witness a legacy that stretches back a few thousand years. An hour and a half north of Las Vegas, Nevada’s first state park has intriguing petroglyphs like Atlatl Rock. A steel staircase and platform makes the petroglyphs accessible. 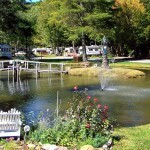 Walk back along the rock face and you will find hundreds more. Duck into some of the small canyons and make your way among the rocks to find even more. On the trail to Mouse’s Tank, accessed through Petroglyph Canyon, you will again find hundreds of carvings—but you have to look for them. About 30 miles west of Gila Bend off Interstate 8 in south central Arizona, near the town of Sentinel, this Bureau of Land Management site may have more petroglyphs per square foot than you will see anywhere else in the desert. This small, modest pile of red rocks has carvings on nearly every rock. Why here? Why so many? 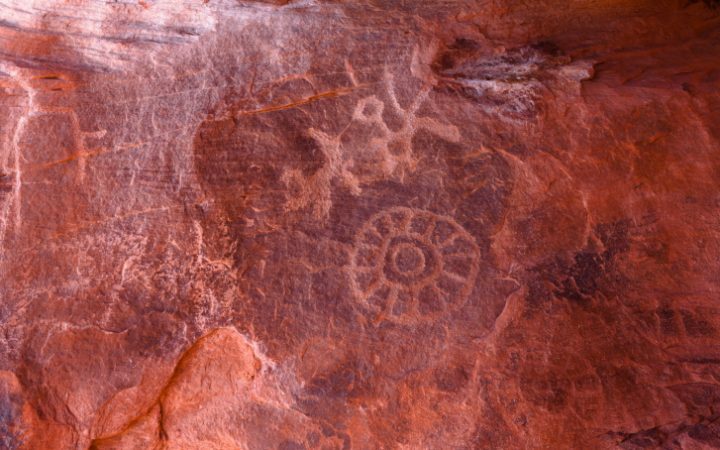 Historians and archaeologists have attributed the art to the Hohokum people, central Arizona tribes who inhabited the area between 300 and 1500 A.D. In Utah, along the well-traveled access road into the Needles district of Canyonlands National Park, Newspaper Rock is covered by hundreds of petroglyphs—one of the largest, best preserved and easily accessed groups in the Southwest. 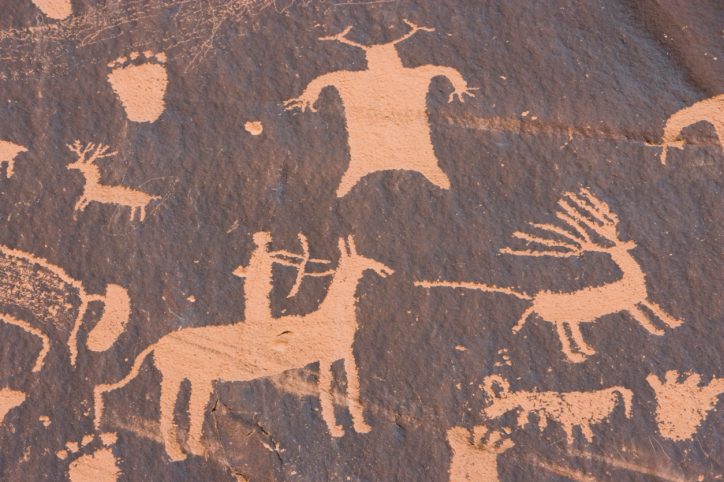 The petroglyphs feature a mixture of human, animal, material and abstract forms.